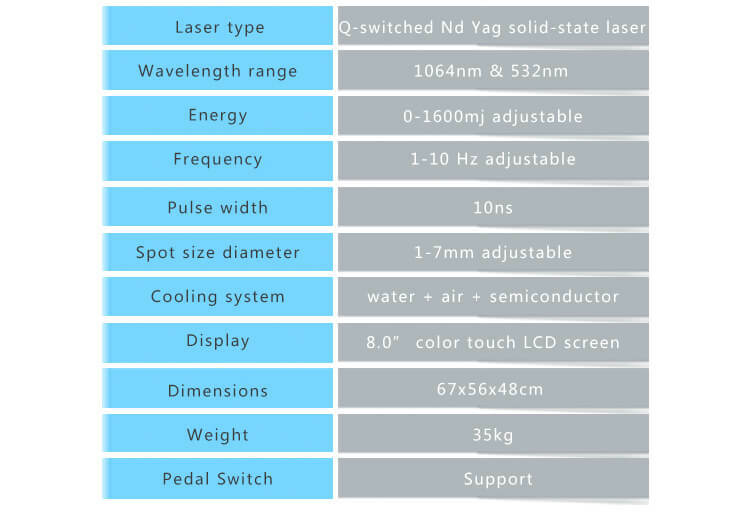 ND YAG Laser is proven to be the most effective way to remove tattoos, which emits light in a particular way in short and sharp pulses to break down the tattoo pigments. These are absorbed by the feeding cells within the skin. This light energy is measured in nanometres (nm) and is emitted at frequency of 532nm or 1064 nm.The 1064nm is for treatment of blue or black ink pigment in the skin, this tip is slightly shorter and has around mirror inside.The 532nm tip is for treatment of red and brown tattoo pigment in the skin,ND YAG is a type of Q-switched laser which works best on red, blue and black pigments in tattoos. It is very effective at removing the tattoos. 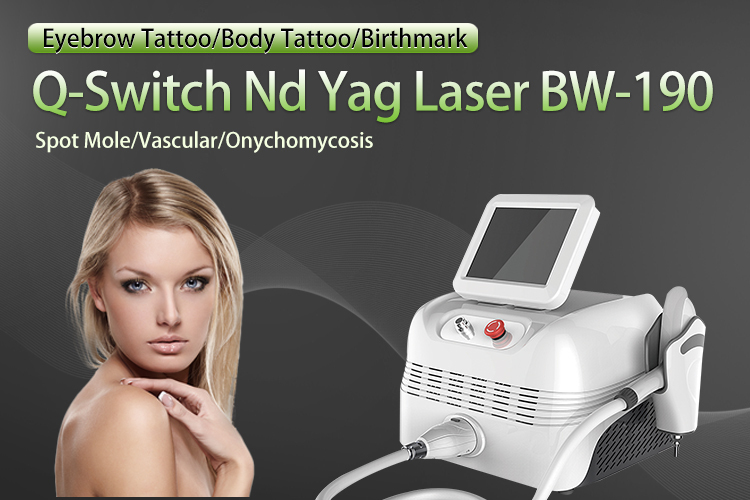 532nm wavelength: Tattoo removal for brighter colors like red, orange and yellow. 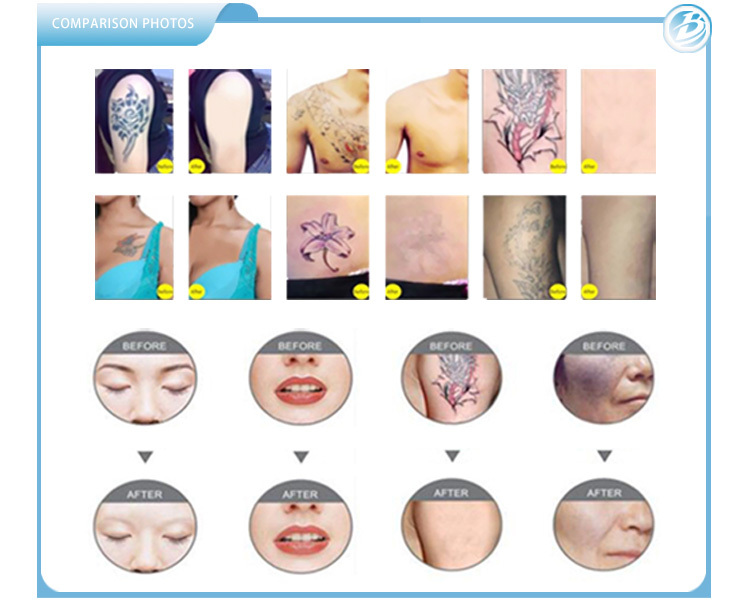 Get rid of freckles, eyebrow tattoo, failed eye line tattoo, tattoo , lips line, pigment, telangiectasia in shallow red, brown and pink and etc. Light color. 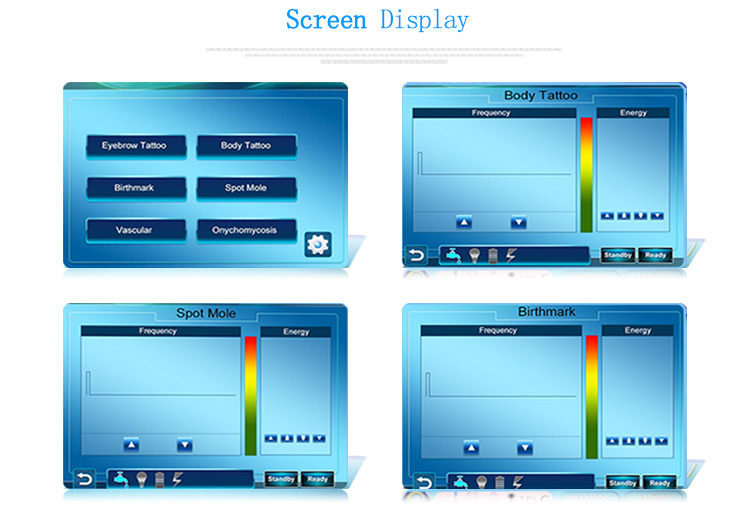 1064nm wavelength: Tattoo removal for dark colors like black, blue and green. Get rid of freckles and yellow brown spot, eyebrow tattoo, failed eye line tattoo, tattoo, birthmark and Nevus of Ota, pigmentation and age spot, nevus in black and blue, scarlet red, deep coffee and etc.